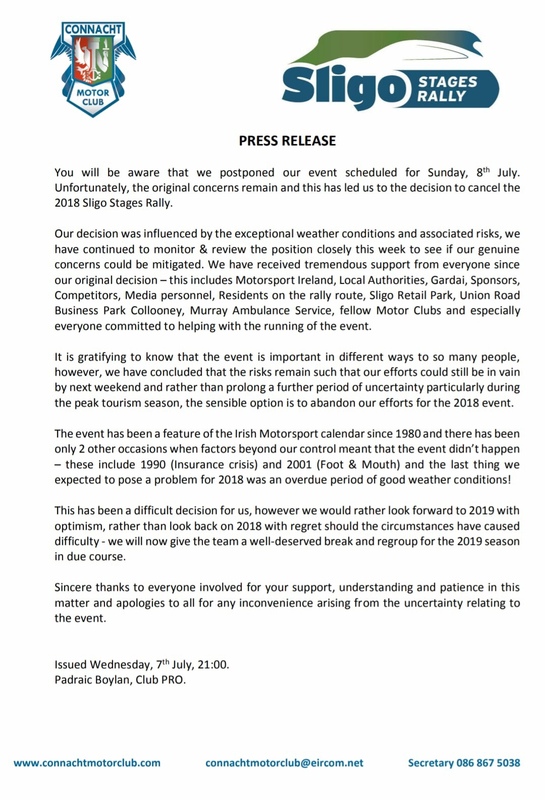 Sligo Stages cancelled for 2018 – RallyNews – Patterson Pacenotes Extra's….. The organisers of the 2018 Sligo Stages have taken the reluctant decision to cancel this years event. Having already postponed the event, originally to have taken place this weekend, the constant warm weather has jeopardised the integrity of the local roads and with no break in the weather due, the decision to cancel has been announced. A copy of the official statement from Connacht Motorclub is below. Nicky Grist Stages 2018 – Sample Video & Jemba Stage Speed Traces.